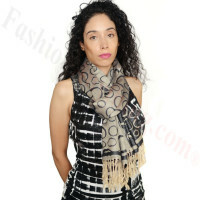 We carry different styles of circle pattern scarfs. Wholesale Pashminas with circle designs. Great for all seasons.